Change is coming at us from all angles: technological, cultural, social, and environmental. This presents a great challenge—and a great opportunity—in schools and in the teaching profession. 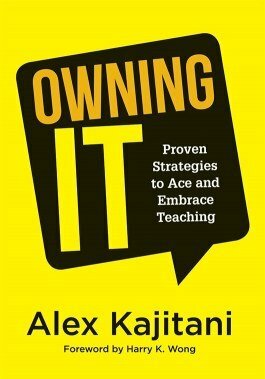 With Owning It, you’ll discover an array of easy-to-implement strategies designed to help you excel in the myriad of modern-day responsibilities of teachers and educators: classroom leader, mentor, colleague, team member, and public professional. Understand the multifaceted role of a teacher in today's schools and how to balance the numerous responsibilities—from classroom management to relationships with colleagues. Feel inspired and motivated to bring out the best in yourself as well as in your students.